The former face of the Borden Dairy Company, Elsie the Cow is a recognizable cow mascot in the dairy world since 1936. Since the Borden Dairy Company was laid to rest halfway through the 1990s, the lovely cow has moved on to green pastures with a partial successor to the now dead comapny, Eagle Brand. Since then, Elsie has been included in a list of the top ten advertising icons of the 20th century by Ad Age. In recent years, the character has also found a bit of backstory by having an interesting connection with the next character on our list. 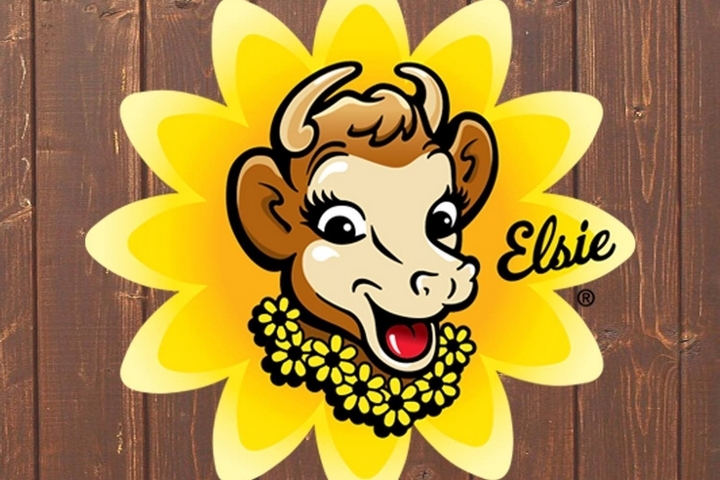 Follow Elsie on her Facebook profile with the rest of her followers, moo! Designed in 1940 by David William Reid, Elmer came from a member of the advertising team that conjured up the character of Elsie the Cow. In the years following his creation, Elmer was a famous cow mascot often seen beside Elsie, as well as their children. The two had a total of four children, Beulah, Beauregard, and the twins Larabee and Lobelia. 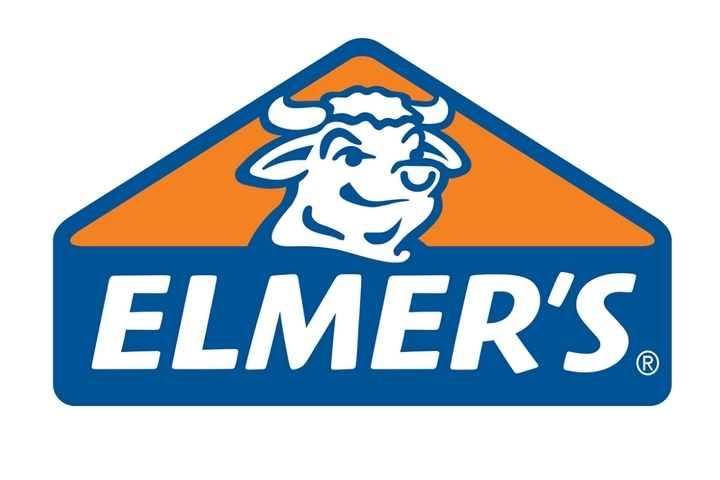 As far as fictional bulls go, Elmer came flying out of the gate with an entire family, as well as a brand to represent. However, Elmer found a new brand to represent in 1951, when he became the official cow mascot of the Borden line of adhesives. To this day, you can still see the popular bull gracing the labels of glue and adhesives in many places that office supplies are sold. Join the bull ring and follow Elmer on his official Facebook profile! A long time promoter of the processed cheese products made by Fromageries Bel, the Laughing Cow is a French mascot that has made her way all across the world. The original laughing cow design was drafted by Benjamin Rabier in World War I. The gleeful cow mascot could be found on trucks transporting soldiers’ meat rations, alongside the word “Wachkyrie.” This was a morale boosting joke at the expense of German supply trucks that featured the mythical Valkyries. A young dairy farmer, Léon Bel, found the joke to be humorous and actually enjoyed the cow so much that he asked Rabier to create a brand new version for him in 1921. Rabier accepted and updated the mascot design to have a vibrant red coat, as well as cheese box earrings. Naturally, the design was a hit in terms of advertising, and has persisted into the modern day. 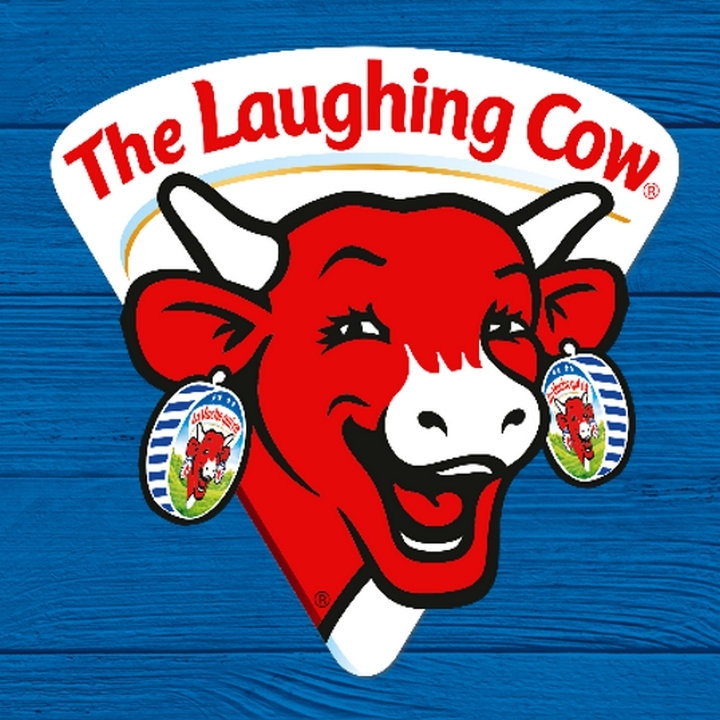 The Laughing cow has gone through a few redesigns since then, however, and is more approachable and in tune with what draws a consumer today. Laugh along with The Laughing Cow on their Facebook profile. 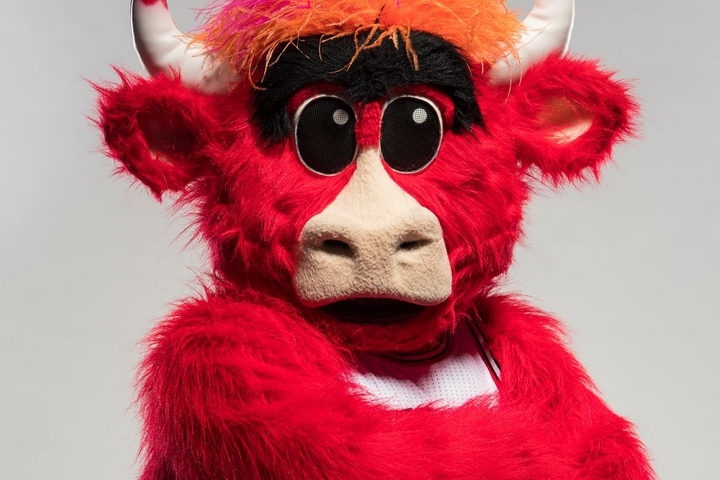 Fans of the NBA team, the Chicago Bulls, will know Benny the Bull quite well. Appearing on the cow mascot scene in 1969, Benny has been a recognizable facet of the Bulls’ team for decades. While his several designs over the nearly 50 years have adequately created an image for the team, he more than likely became most famous for being associates with basketball greats such as Michael Jordan, Scottie Pippen, and Dennis Rodman. It makes sense that the character would have a fair amount of association with sport legends, as he is one of the oldest mascots in the NBA, and he doesn’t seem to be going away anytime soon. Join Benny The Bull and his basketball endeavours on Facebook! 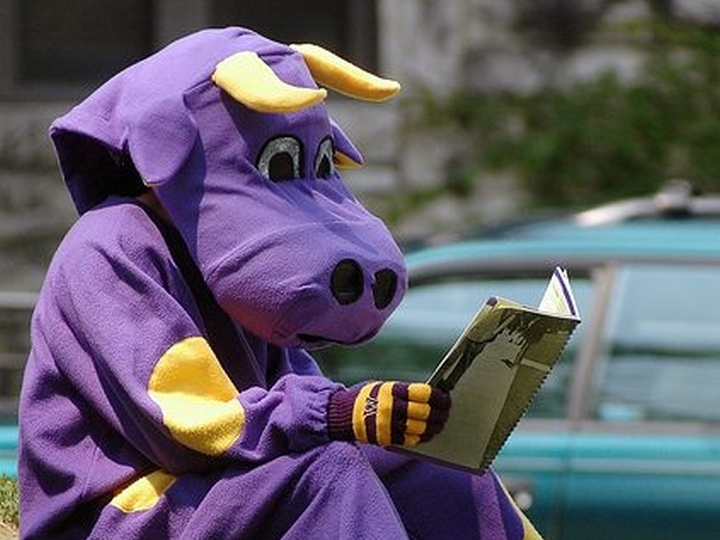 The iconic cow mascot of Williams College’s football team, the Purple Cow has seen some pretty decent success as the face of a Division III football team. In fact, he is the only Division III mascot to ever appear in an ESPN commercial. Aside from that, the Purple Cow deserves a little recognition for the sheer persistence the character has, as he originated in 1907. The cow is said to have been inspired by the student magazine of the same name in the early 20th century, but the colour of said cow has an interesting story behind it. In 1865, the college had a baseball match against Harvard University. While the specifics of said match aren’t too well known, the standout moment from that day was when Winston Churchill’s mother was one of two women to present beautiful purple rosettes to the team ahead of the match. Taking pride in this moment, the school has adopted the colour purple officially, and that pride has since taken the form of the Purple Cow today. Whether it is the fondness of that moment or simply the clever design of the mascot that makes it so perpetual, it is safe to say that the Purple Cow is a successful mascot. Celebrate with The Purple Cow on Williams College Athletics’ Facebook profile.